Behind the glossy green and cream livery of this luxury train are interiors full of intriguing details and romance. Intricate marquetry, fine fabrics and vintage touches will leave you breathless. Take a front row seat in your private lounge to watch the astonishing landscapes of Asia shift and change. By night, a steward transforms your cabin into cosy sleeping quarters. Our Presidential Cabin offers supreme space with extra touches of luxury. Set the ambience with your own music and enjoy the wifi. Recline in the plush seating area with a drink from the complimentary minibar as tropical Asia rushes by. Light, airy State Cabins connect you to the passing landscapes outside. Recline in spacious elegance by day; toast the day’s adventures with a nightcap before settling into two single beds at floor level at night. A paradise of vintage charm, our Pullman Cabins dazzle and delight. Relax onto plush seating by day as your cabin is flooded with light. After the stars emerge, enjoy upper and lower berths cosy with crisp linens. 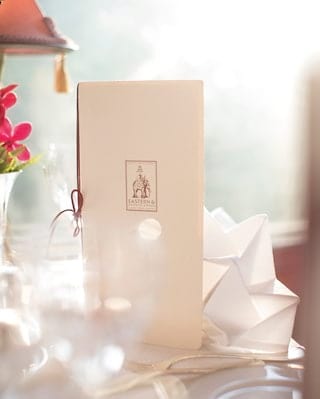 Each perfectly formed Pullman Single provides the most intimate of retreats. Settle back in space rich with ornate details and luxury flourishes. After dark, elegant daytime seating converts to a single bed at floor level. 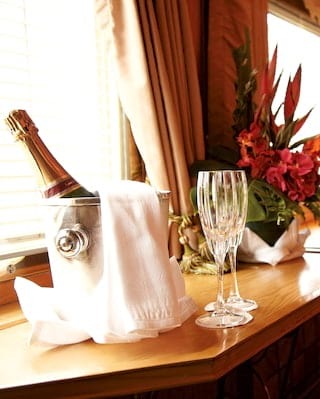 A chilled bottle of champagne waiting in your cabin starts your adventure with a sparkle. This four-course flavour sensation, accompanied by Louis Roederer Brut Champagne, is an unmissable treat. 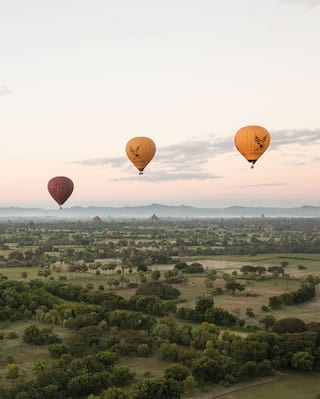 The magic needn’t end: Bali, Koh Samui, Cambodia and Laos await. Let us make the arrangements for you.